We consider fundraising to be a very important part of our school life. Thinking about others who have needs that are different and often greater than our own is just so important in our efforts to develop empathy in our school. Furthermore it gives our children a great insight into the wider community and begins to develop their social consciousness. We support a range of charities both local and national at the suggestion of our school community. Given that we are a very small school, no-one could fail to be impressed at the combined efforts of our community. Details of our fundraising can be found by the array of certificates proudly displayed in our entrance hall. I.M.P.S is a health education programme delivered to pupils jointly in Woodeaton and our local hospital, The John Radcliffe, emergency department. Its aim is to teach pupils to recognise potentially dangerous situations and prevent injuries. The programme also equips pupils with first aid and resuscitation skills, helping them to respond effectively if an incident occurs. Help for Heroes supports veterans and serving personnel who have been wounded or injured, or who have become sick, as a result of serving their country. Additionally their families and dependents receive support from the Charity as they care for their loved one, and adapt to the new challenges that they face. H4H is a tri-service military charity, providing support to full time, reservist Servicemen and women and veterans from the Royal Navy, Army and Royal Air Force. Every year, Woodeaton makes a concerted effort to raise money for this worthwhile charity close to our pupils’ and staff’s hearts. Children in Need provides grants to projects in the UK working with children who have mental, physical or sensory disabilities; behavioural or psychological disorders; are living in poverty or situations of deprivation; or suffering through distress, abuse or neglect. Every two years, people do something funny for money. 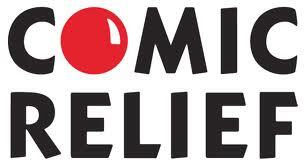 Comic Relief strives to create a just world, free from poverty both in the UK and internationally. The money raised through Sport Relief is spent by Comic Relief to transform lives across the UK and the world’s poorest counties. Macmillan provide practical, medical and financial support for people suffering from cancer. Support has grown for this charity and it has become the largest cancer care and support charity in the UK. We appreciate fully that we are all living in a world that is struggling to make ends meet. With this is mind, we were truly amazed when Mr and Mrs Gascoigne, parents of Jess, offered to organise a ‘Masque Ball’ in September 2012 to raise money for our school. They thought that they would be able to raise £2000. School helped them with setting up the Officer’s Mess, blowing up balloons and selling tickets for the ‘Ball’ and raffle. The amount of help we gave was insignificant in terms of the extraordinary effort made by Lesley Gascoigne. The ‘Ball’ was an amazing success and raised a staggering £5972.72. The money has been spent on IT equipment. If you know of any other opportunities that would benefit our children and their families, please do not be shy in contacting us.